Following the English capture of New York in 1664, an attempt was made to improve communication between New York and the English colonies in New England. 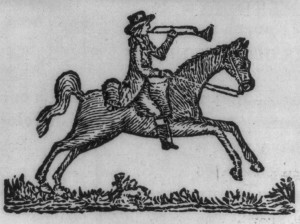 On January 22, 1673, America’s first post rider left New York City carrying “two port-mantles crammed with letters, sundry goods and bags.” The rider headed to New Haven and Hartford, then on to Springfield, Worcester and Boston, where he arrived after two weeks, having covered a distance of 250 miles. A royal charter in 1691 revitalized postal service throughout the English colonies in North America along a route that extended from Baltimore to Portsmouth, Maine. As part of this extended service, the post from New York to Boston passed through Connecticut along a shoreline route that ran from New Haven through Saybrook to Providence, Rhode Island, thereby establishing a second major travel corridor across Connecticut. Service now left New York once each week in summer (every other week in winter) and followed the lower road as far as Saybrook, where the New York rider exchanged mail bags with the rider who had come down from Boston via Providence. By the 1690s, as new towns were settled in northeastern Connecticut, a third or middle post road was opened through the colony. This route left the upper post road at Hartford to run diagonally across the Windham Hills through Bolton, Tolland, and Woodstock, and then on to Boston. Though the exact path of the middle post road is debated, its existence is attested to by Benjamin Wadsworth, who traveled along it in 1694 on a trip from Albany to Boston. 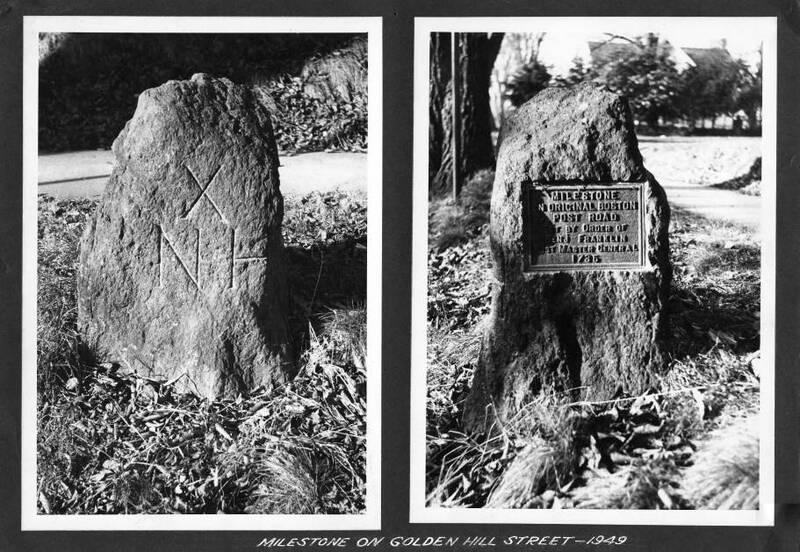 Leaving Hartford, Wadsworth and his companions encountered a road that was “very rocky, bushy, in many places miry; but tho our road was bad and long, being counted about 50 miles, yet we came to Woodstock about 8 of ye clock” in the evening. He does much business on the road on commission, he is a publick carrier, and loads his horse with merchandise for people living in [sic] his route; he receives cash, and carries money backwards and forwards, take’s care of return’d horses, and in short refuses no business however it may affect his speed at Post. Despite Finlay’s disapproval, the financial transactions conducted by John Herd attest to the growing importance of the post routes to fostering market capitalism in Connecticut before the American Revolution. 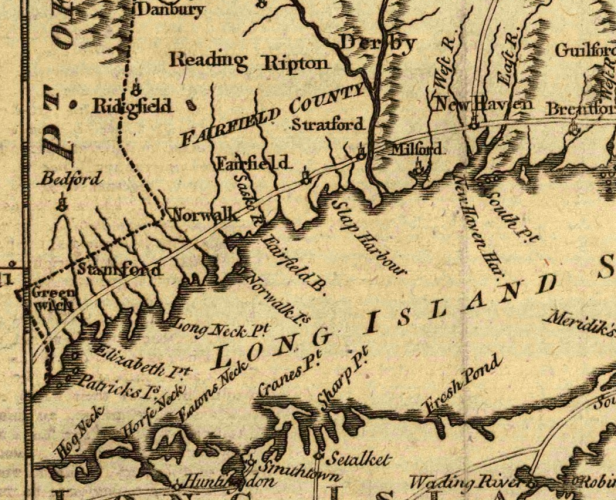 “A Map of Connecticut and Rhode Island, with Long Island Sound, &C.” London: Gentleman’s Magazine, 1776. University of Connecticut Libraries, Map and Geographic Information Center - MAGIC. Link. Finlay, Hugh. Journal Kept by Hugh Finlay, Surveyor of the Post Roads on the Continent of North America During His Survey of the Post Offices Between Falmouth and Casco Bay, in the Province of Massachusetts, and Savannah in Georgia, Begun the 13th Septr., 1773 and Ended 26th June 1774. Brooklyn, NY: Frank H. Norton, 1867. Link. Jaffe, Eric. The King’s Best Highway: The Lost History of the Boston Post Road, the Route That Made America. New York, NY: Scribner, 2010.